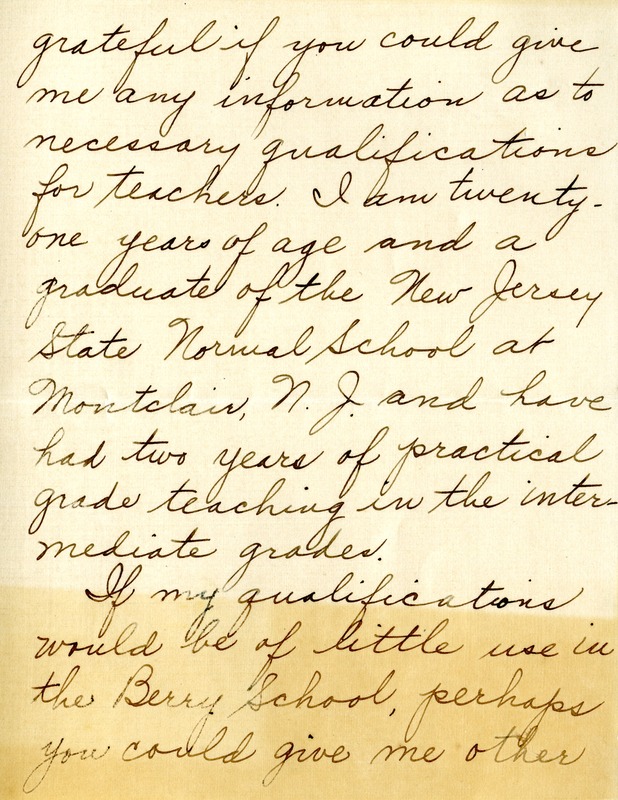 Claire Merlehan read about the Berry School in the Mentor and asked Martha Berry if the Berry School would be in need of a teacher with her qualifications. 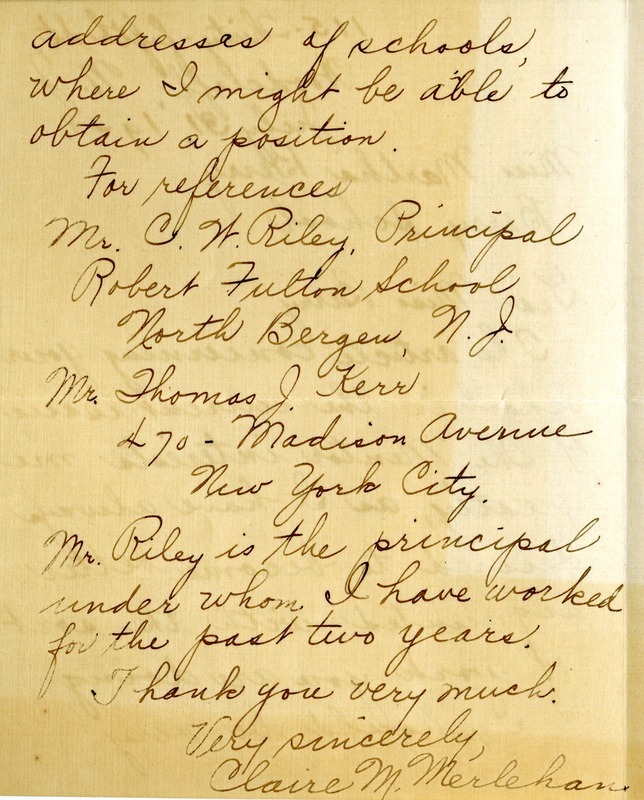 Claire M. Merlehan, “Letter to Martha Berry from Claire M. Merlehan.” Martha Berry Digital Archive. Eds. Schlitz, Stephanie A., Meg Ratliff, Olivia Mund, et al. 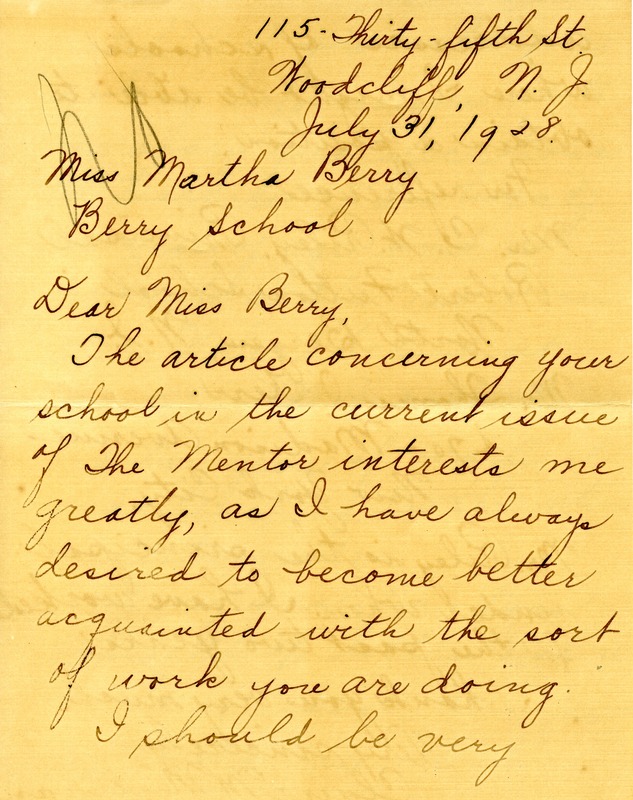 Mount Berry: Berry College, 2012. accessed April 26, 2019, https://mbda.berry.edu/items/show/8396.